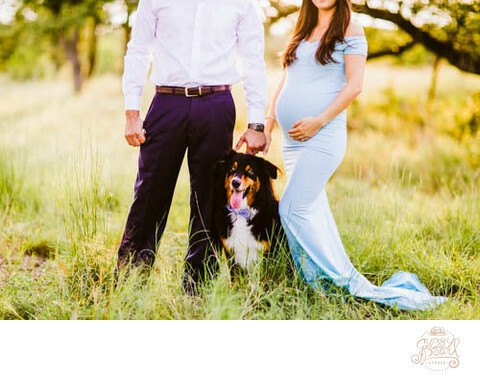 This image shows how a fur baby can be included in a maternity session. This image was taken in Driftwood, outside of Austin at the couples family ranch. I love the colors and Atlas the pups expression. We love working with animals so please include them in any session.